The combined entity, with over USD 100 million in estimated annual revenue, will retain the Majesco brand, a statement said. Majesco, a wholly owned subsidiary of IT solutions firm Mastek, will merge with NYSE-listed Cover-All Technologies to tap into the insurance technology space globally. 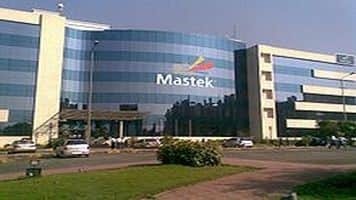 Reacting to the merger, Mastek stock rallied 19.99 per cent to settle at Rs 324.80 -- its upper circuit limit at the BSE. 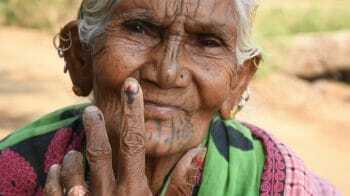 At the NSE, it soared 20 per cent to Rs 325.20. The market valuation of the company climbed Rs 124 crore to Rs 726.90 crore. Majesco (formerly, MajescoMastek) has entered into a definitive merger agreement with Cover-All Technologies Inc in a 100 per cent stock-for-stock transaction, Mastek said in a filing to the BSE. Cover-All's stockholders and the holders of its options and restricted stock units, in the aggregate, will, upon theclosing of the merger, receive 16.5 per cent of outstanding shares of common stock of the combined company, on a fully diluted basis, it said. The transaction is expected to close in the second quarter of 2015. Both companies will continue to operate as independent entities until then. Majesco (formerly, MajescoMastek) provides core insurance systems and services to approximately 100 insurance carriers worldwide, while Cover-All Technologies is an insurance software company. "Cover-All's stockholders and the holders of its options and restricted stock units, in the aggregate, will upon the closing of the merger, receive 16.5 per cent of the outstanding shares of common stock of the combined company, on a fully diluted basis," it said. The decision to merge the two businesses is the latest step in the execution of Majesco's aggressive growth strategy to consolidate its global insurance business under a single and separate entity, it added. Last week, Majesco had announced the signing of a definitive agreement to acquire the insurance business of Agile Technologies, bringing additional IT consulting, data strategy and implementation expertise to Majesco. Ketan Mehta, Chief Executive Officer and founder of Majesco, will serve as the President and CEO of the combined entity. Majesco maintains a laser sharp focus on meeting the needs of just one industry -- insurance -- and is making investments that add capability and capacity to serve customers in meeting their growth objectives, Mehta said. "We will have better resources including expanded scale to meet the needs of any insurer regardless of size or location, and improved financial strength to invest in innovative and new products. We believe that this merger will significantly enhance shareholder value," Cover-All President and CEO Manish Shah said.